Lightning struck parts of the Bay Area Monday, from Sunol to San Jose, in an early morning display of white streaks in the sky. 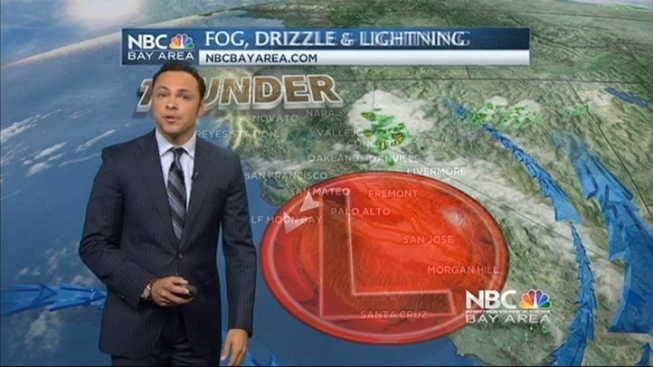 The concentration of the lightning strikes centered in the North Bay. That's because an area of low pressure has been spinning off the coast of California with limited moisture, prompting dry lightning strikes through mid-day. The lightning comes after an unusual weather weekened. Temperatures zoomed past the 100 degree marks Saturday in parts of the East and North bays. The hottest of the hot spots was Walnut Creek which hit 112 degrees, according to the National Weather Service. 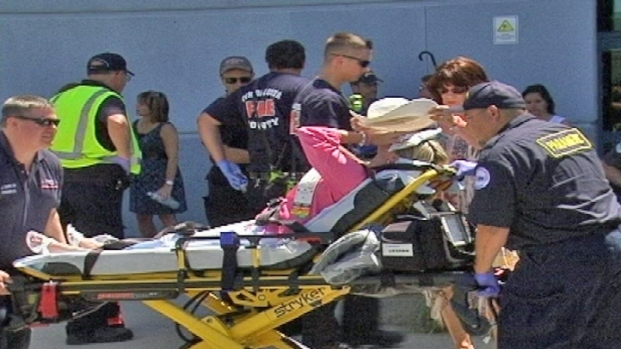 Sixteen patients were treated for heat related illnesses at an outdoor graduation ceremony in Brentwood Saturday morning. San Jose hit 100, with one report of 102 degrees in the Almaden Valley. Then on Sunday, temperatures cooled down considerably as a huge bank of fog blanketed the Golden Gate Bridge and headed inland. 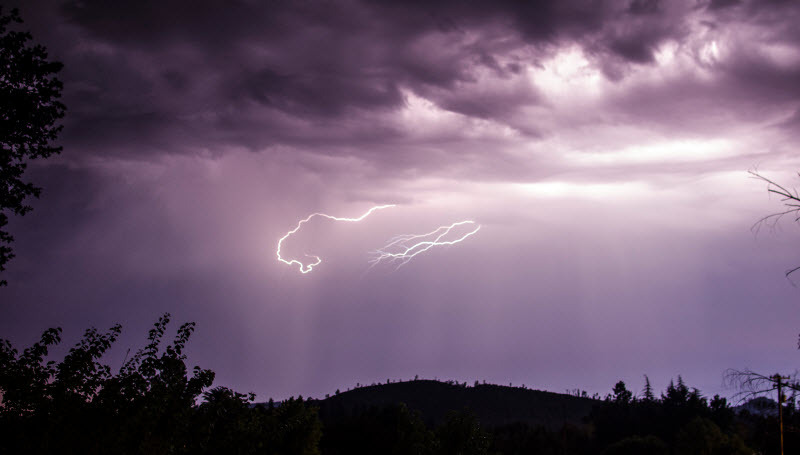 Viewer Sawyer Braden sent in this photo of the lightning from Hidden Valley Lake. 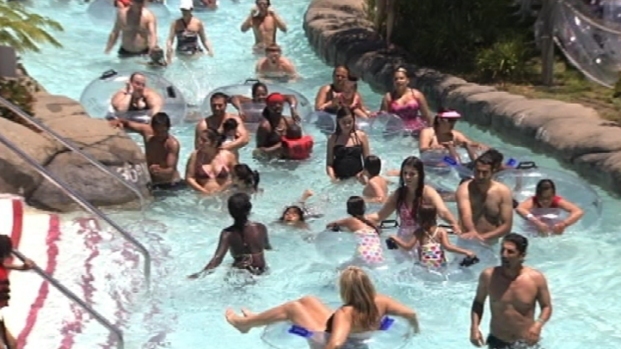 Concord soared passed the 100 degree mark Saturday and that sent hundreds of people to Water World.